First lines: The bus smelled of mildew, machine oil, and sweat. As the suburban Atlanta sprawl disappeared behind us, I tapped my foot on the floor and chewed a lock of my newly long hair. A nagging voice reminded me that I was only a half an hour from home, that if I was only a half an hour from hour, that if I got off at the next stop and walked back to Smyrna, by sunset I could be in the comfort of my own bedroom, the familiar smell of Mom’s starchy cooking in the air. First lines: Not too far away from here, just over the horizon of our imagination, there’s a girl floating in the river. She moves with the water, whispering through the bulrushes by the bank. Her arms are out to the side, her legs splay and tiny fish dance around her toes. First lines: A police officer shines a blinding light in my eyes. To ruin what was left of my miserable life? First lines: If you’re reading this, you’re probably wondering who you are. I’ll give you three clues. First lines: Captain Cooker in the evetable garden overnight. Lots of damage. Mona said not to hunt the pig. Too dangerous. Things I am afraid of: the pig. *Items that are still in demand which are in a deteriorating condition and cannot be replaced. *Out of print items of special interest. *Classic titles or titles by classic authors in a deteriorating condition of which replacement editions cannot be readily sourced. *Copies of fiction titles written by major ‘Prize’ winning authors. It’s a treasure trove of awesome books which really need a bit more love. You can get these books by reserving them or going up to the second floor and asking at the desk. Here are a few of my favourites. There’s a fair amount in the stack, so I may make this a regular feature. In a month or so we’ll be hitting a record breaking summer. Or at least, we hope so! This is an incredible novel about a summer that’s as wonderful and strange as any you could ever live. Zillah, an eighteen year old who’s having doubts about the future that her life so far have been building to – something has to break. So she heads off, away from safety, to a place suggested by a mysterious letter. There she meets an enigmatic brother and sister. Events take a turn for the dangerous as both the natural world and the people around her move in their own mysterious patterns. There are two sequels; Dark and Zillah. A young thief gets a second chance – of sorts – when a doctor decides that rather than consign the unammed man to death, he’ll try a series of experiments to rebuild his shattered body. The man that results from this is named Mortmorency. Mortmorency is clever and quick and tries to engineer his escape, but there are parts of his life that he can’t quite leave behind. Mortmorency’s set in Victorian London, so a literal world away from Watermark. Ness is a young woman struggles against the inflexible traditions of her island society. She has the sea in her blood, or so she says, in a place that hates and fears the sea. A stranger washes up with the tide, and suddenly her future becomes even more uncertain and dangerous than she could have imagined. The world that MacKenzie has written is completely fictitious yet familiar and realistic. It’s one of the best novels I’ve read in a while – which makes me happy to have looked in the stacks in the first place! I wasn’t prepared for how creepy I’d find this novel. It’s a simple enough premise: the Day family run a business out of their home, a beautiful historic home. The Todd family come to stay…and don’t leave. The Todds exert a strange hold over the Days, and tensions escalate and events spiral out of control. 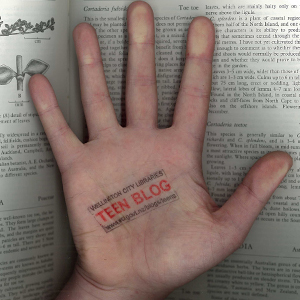 Here at the Teen Blog we hope you all had a great Easter and gorged yourselves silly on chocolate, if that’s your kind of thing. It’s 1915 and the horrific war being fought seems a world away to Midge, a 16-year-old New Zealander studying in England, yet Midge feels closer and closer to it with her brothers in the army, one of them listed ‘missing’ after Gallipoli. Desperate to help (and to avoid the boredom of school) Midge and two of her friends start a canteen in France for the endless flow of wounded soldiers returning from the frontline. Midge is recruited into the over-stretched ambulance service, forced to face carnage and find courage she could never have imagined. A Necklace of Souls, by R L Stedman – “In a hidden kingdom a mysterious Guardian protects her people with the help of a magical necklace. But evil forces are also seeking the power of the necklace, and as the Guardian grows weaker these forces threaten to destroy the kingdom. With the help of her best friend, Will, and the enigmatic N’tombe, Dana, the rightful heir, must claim the power of the necklace and save her people. But the necklace takes a terrible toll on whoever wears it – a toll that Dana may not be prepared to face” – Publisher information. Bugs, by Whiti Hereaka – “Bugs is about the unfolding lives of three young people in their last year of school in small-town New Zealand. Life is slow, and it seems not much happens in town or in Jez and Bugs’s lives. But when Stone Cold arrives, the three come to different conclusions about how to deal with being trapped in a small town and at the bottom of the heap” – Publisher information. Mortal Fire, by Elizabeth Knox – “When sixteen-year-old Canny of the Pacific island, Southland, sets out on a trip with her stepbrother and his girlfriend, she finds herself drawn into enchanting Zarene Valley where the mysterious but dark seventeen-year-old Ghislain helps her to figure out her origins” – Publisher information. Speed Freak, by Fleur Beale – “Fifteen-year-old Archie is a top kart driver, aiming to win the Challenge series and its prize of racing in Europe. He loves the speed, the roar of the engine, the tactics and the thrill of driving to the limits. Craig is his main rival, and there’s also Silver, who drives like she’s got a demon inside. Archie knows he’ll need all his skill and focus to win. But sometimes, too, you need plain old luck. Can Archie overcome the odds and win?” – Back cover. Congratulations to these fab New Zealand authors, and all the best! 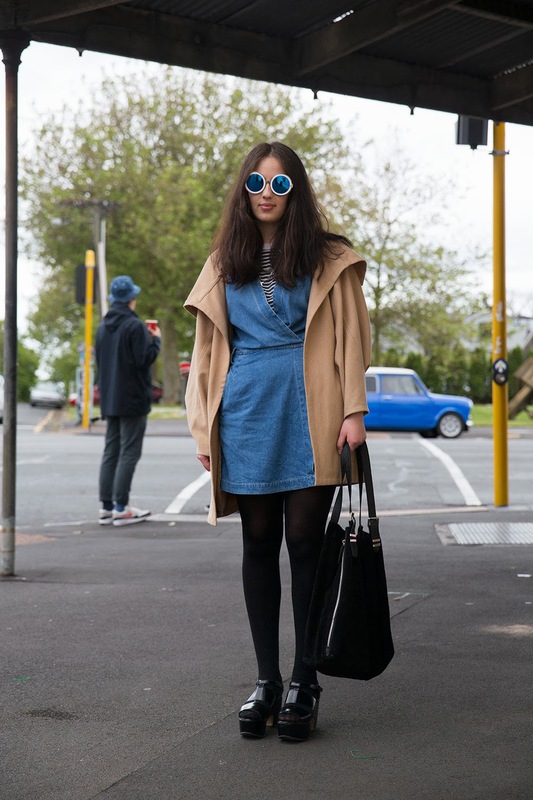 Foureyes : New Zealand street style / Alex Blanco … [et al.]. Foureyes is a street style blog run by four fashion and photography loving guys, you’ve probably heard of them by now. I guess they have one of teh most influential fashion blogs in New Zealand and one of the only blogs that focuses on street style photography. (Check it all out here). NOW they have a book, which is actually pretty cool. Therre’s some quirky stuff in there (do people really dress like that? In Auckland apparently? Good for them I say). I don’t read that many NZ street style blogs. The most obvious one is good old Stuff’s Daily Street Style (in the Life and Style section). Photographers from around NZ feed into that – such as Street and City Photos (which i don’t really like, too ernest) and Femmehysterique (which is from Dunedin, refreshingly different). Do you have any good suggestions?